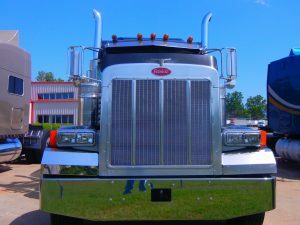 Will Trump Put The Brakes On New Commercial Truck Speed Limiting Rule? Would speed limiting devices in commercial trucks save lives? Yes. We believe these devices would prevent many needless personal injuries and deaths on our highways. At our firm, we have helped many families hurt in commercial truck crashes. We have seen the tragic results of collisions involving huge commercial vehicles. Years of pleas from parents whose son was killed by a speeding tractor-trailer, buy-in from some truckers and the promise of fewer highway deaths convinced U.S. officials in September to propose requiring speed-limiting devices on all large rigs. I do think the fundamental point that the rule is making is absolutely right, which is that there are technologies that are going to help us keep our speeds in moderation, and that’s going to be overall better for safety . . .
Who believes the proposed rule would prevent injuries and deaths? People from all walks of life support this proposed rule. Grieving families. Much of the trucking industry. Department of Transportation officials. That’s wide support for a common sense measure. Add to the support for commercial truck speed limiting devices — These devices are already used in most developed nations to reduce injuries and deaths. The province of Ontario, Canada, is a good example. Ontario instituted a similar rule in 2009 limiting commercial rigs to 65 miles per hour. Speed-related, at-fault collisions involving large commercial vehicles fell by a whopping 73 percent after mandatory speed limiter legislation took effect in Ontario. All it took was a few minutes for President Donald Trump to sign an order putting that regulation and hundreds of others in limbo. The President signed an arbitrary order requiring agencies to kill two existing rules for each new one. Now, I’m not writing this post to advocate or criticize a specific politician or political party. That is not my intent. The speed-limiting devices for trucks — already mandated in most developed nations — would save hundreds of lives, lower fuel use and provide as much as $6.5 billion in benefits per year. We need to put safety first. We need to enact reasonable rules like commercial truck speed limiting devices that save lives. At the Blackwell Law Firm, our lawyers have helped the injured victims of car accidents and commercial truck crashes for decades. I hope our leaders move beyond partisanship and arbitrary political ploys to act for our families and communities on this issue.